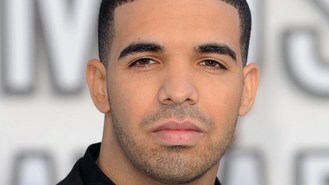 Drake has confessed dropping out of school early had left a "gaping hole" in his life. The Canadian rapper - who dropped out of high school aged 15 to star in the TV series Degrassi: The Next Generation - gave an emotional speech at his graduation ceremony at Toronto's Jarvis Collegiate Institute at the weekend. Drake revealed he chose to go back to school because "I reached a point in my life where I realised there aren't material things that can give me the excitement that I'm looking for". He added: "There's a void, a gap, in my life that I need to fill and I need to sit and think long and hard what that was. "It was the fact that I had left a gaping hole in my story of following through." He thanked his teacher and his uncle and ended his speech by dedicating his diploma to his mother, a former teacher. He confessed he had previously "fought education" and thought "it wasn't for me". But he revealed: "I want to let you know that I get it. I get why this institution is in place. And it's not necessarily about the books that you read, or the science or maths equation you learn. "It's not about the popular kids, it's not about the kids that don't feel as popular because all that changes later in life, and I promise you it changes. This is about the art of following through." Drake, now 26, worked for five months, writing essays and sitting a final exam to earn his his diploma. Taylor Swift's new album is called Red, but its true colour is a brilliant platinum. A vintage Aston Martin DB5 driven by Sir Paul McCartney while The Beatles shot to international fame is expected to fetch more than £300,000 when it goes on sale tomorrow. Rocker Ronnie Wood's new fiancee has revealed that the former hellraiser asked his future father-in-law for her hand in marriage. One Direction heartthrob Niall Horan has revealed the band would like to emulate Take That - by breaking up and reuniting after a decade. The remnants of a smashed bass guitar from Nirvana's Smells Like Teen Spirit video are to be sold for up to £25,000 next month. Misha B is the latest star to confess that hearing X Factor hopeful James Arthur sing makes her teary-eyed. Lady Gaga has hit out at Calvin Harris after the Scottish star claimed he turned down a collaboration with her. The Saturdays could be following in the footsteps of One Direction and The Wanted, after landing their own TV show on US screens.